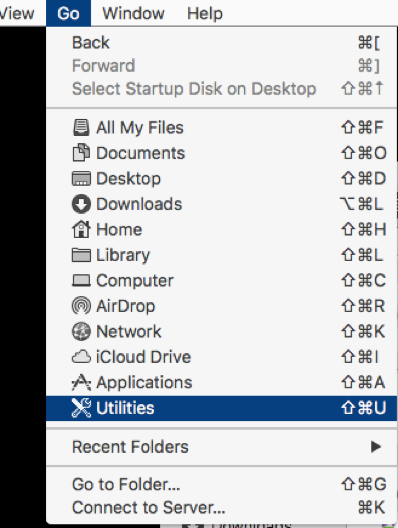 This page provides instructions on how to configure your Mac to connect to dbRASweb. 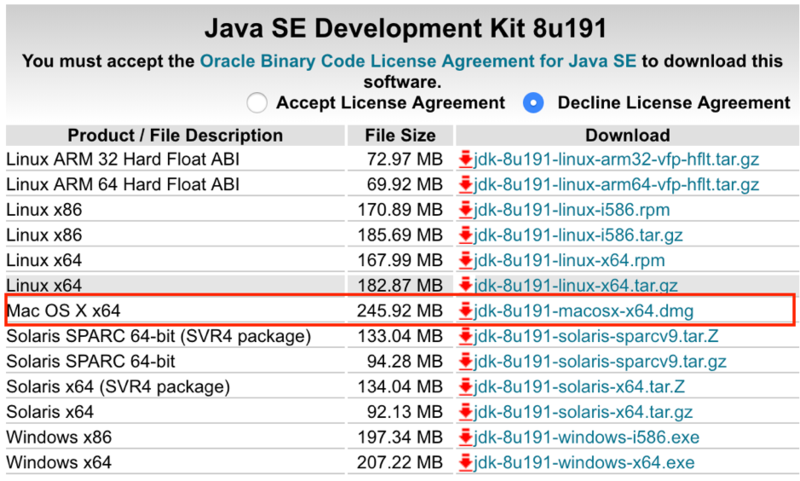 At this time, only Java versions 8 and below are supported with dbRAS. Please follow the steps in Section 1 below to determine what version of Java you have installed. If Java is not installed, follow the steps in Section 3 below. Click on Apple icon on upper left of screen. If you do not have Java installed, please skip to Section 3 below. 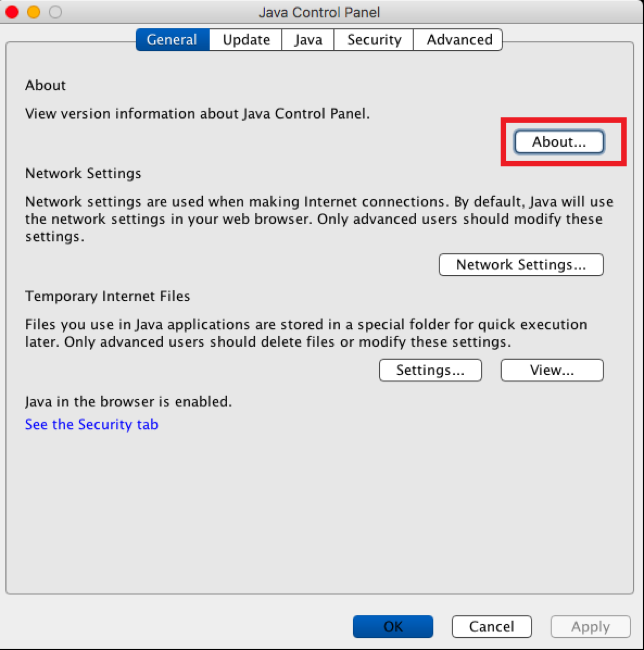 A dialog appears (after clicking About) showing the Java version. If you have Java 8 or below installed, please skip to the Installing Citrix Receiver step. If you have Java 9 or higher installed, please continue to Section 2 below. Please ensure that the Library > Java Folder is empty. 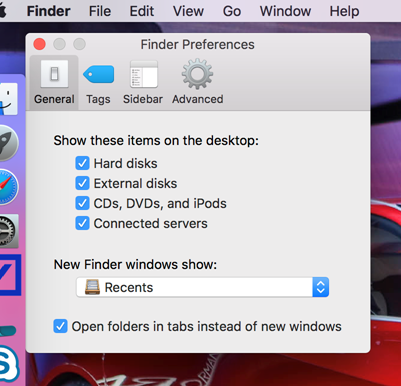 To make Macintosh HD folder visible open the Finder > Finder > Preferences and in General Check Hard disk option. Open Macintosh HD folder > go to library > Java folder should be empty. Continue to Section 3 below. On your Mac, launch the Safari browser. 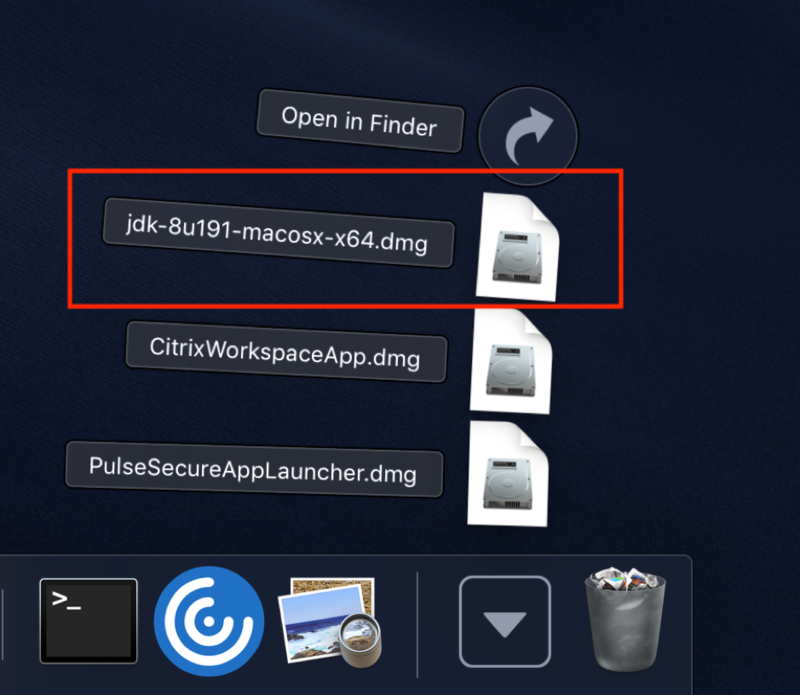 Click the Downloads folder in the dock and click the jdk-xxxx-macosx-x64.dmg file to open the Java installer archive. 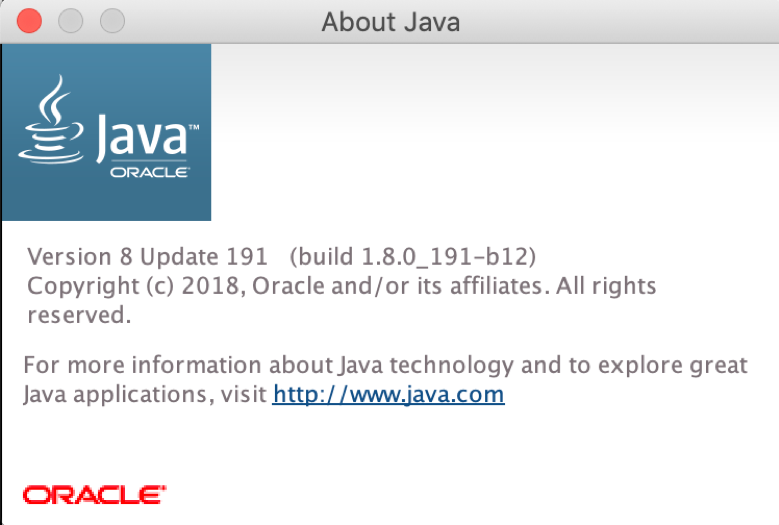 Once the Java installer has started, click Continue. When prompted, enter your Mac account password and click Install Software. If you access your virtual desktop via dbGroup UA, you should install the Citrix Receiver for the best experience. Click Download Receiver for Mac. It will take you to the latest Receiver available for MAC. 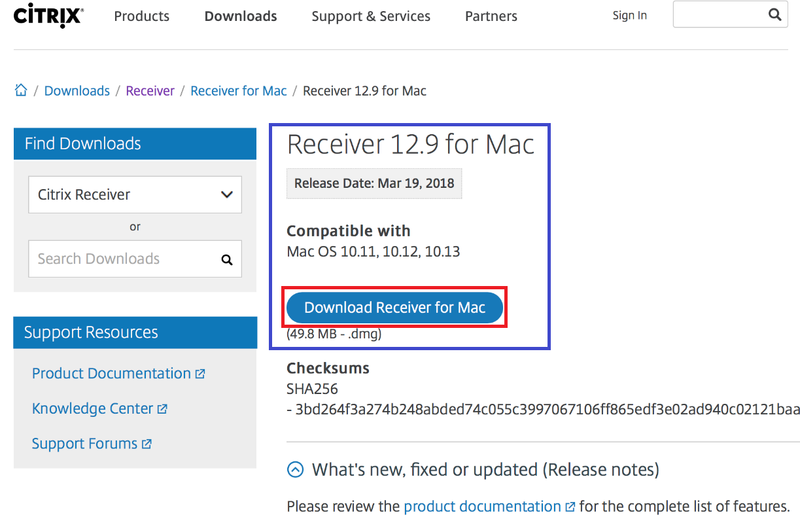 Click on Download Receiver for MAC as shown below. Once the download is complete, go to your Downloads folder and launch CitrixReceiverWeb.dmg. 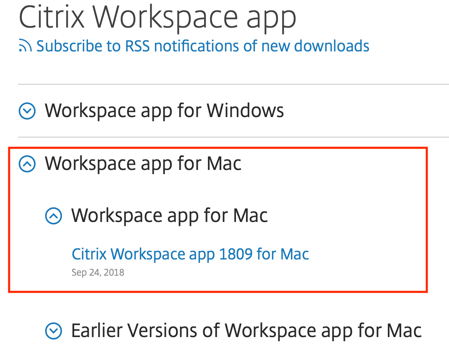 Double-click Install Citrix Receiver to launch the installer. Click Continue to step through the installer. Click Agree to agree to the terms. Once the installation is finished, click Close. In this step, you will download a small package that will automatically configure your security settings. 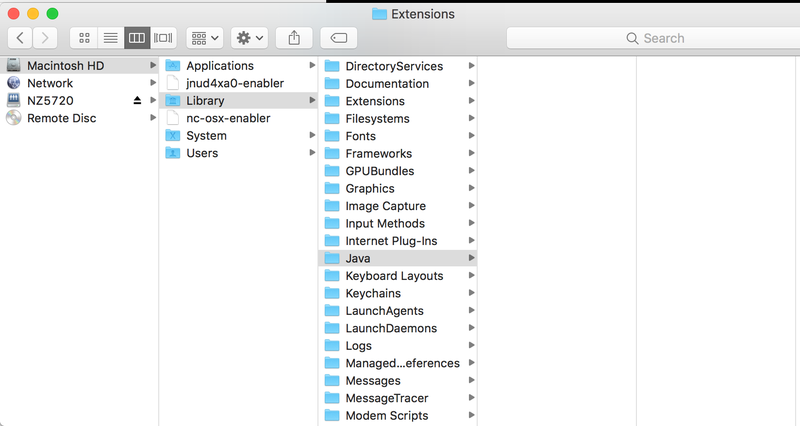 This installer configures Safari and Java with the necessary permissions to run dbRASweb components. The changes are limited to dbRASweb sites only and will not affect the security of your Mac when connecting to other sites on the Internet. 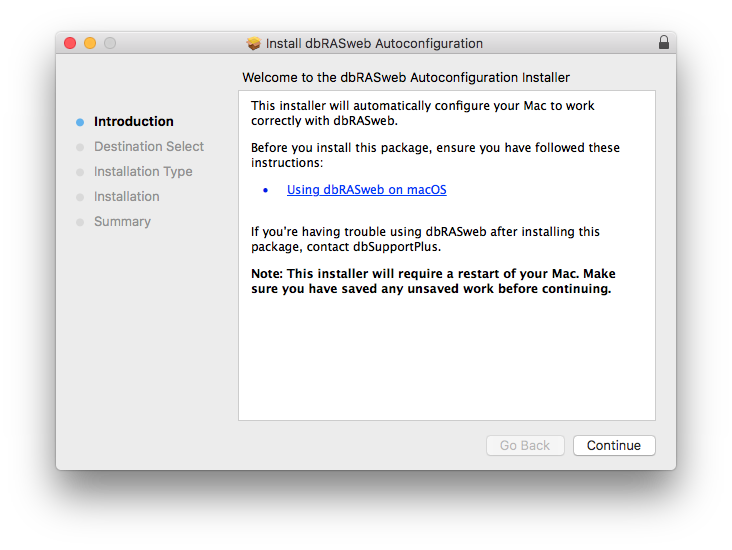 Click the following link to download: dbRASweb Mac Configuration Package. Click the Downloads button in Safari and double-click the file to launch the installer. When prompted, step through the installer to install the package. 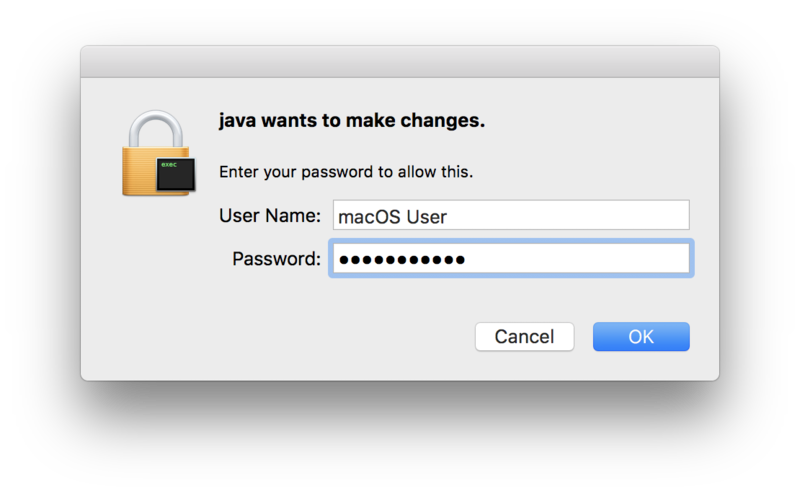 Note: When prompted, enter your macOS password. Once the installation of Java is complete, you can go ahead and log in to dbRASweb. Choose your nearest location and how you wish to authenticate, then click Login. You should now see the dbRASweb Portal home page. Once connected to dbRASweb, follow these steps to connect to your virtual desktop. Click the Desktop tab then choose the dbGroup UA tab. The Secure Application Manager will start to launch. At first, you may see this Java security popup. 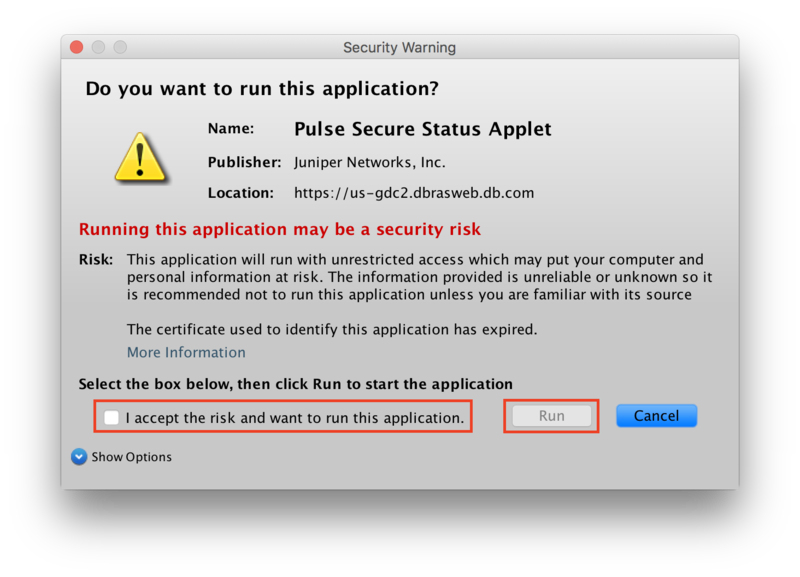 Check I accept the risk and want to run this application and then click Run. When prompted to run "JSAM", click Always. You should only need to do this once. 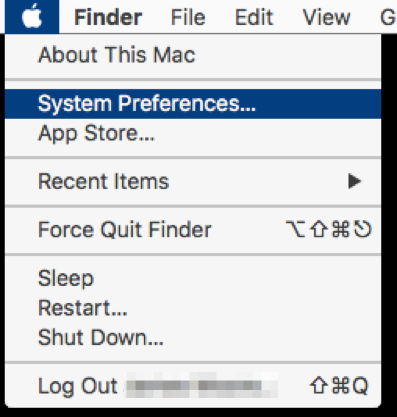 When prompted, enter your macOS password. The JSAM should now be running in the lower-right corner of your screen. 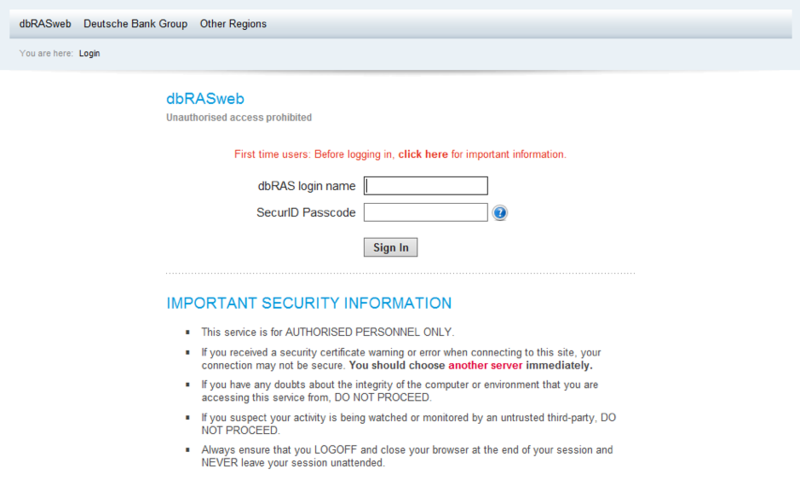 Now, switch back to dbRASweb in your browser and choose the dbGroup UA tab that opened. Log in using your Windows username and password. Choose your desktop session and click Connect. 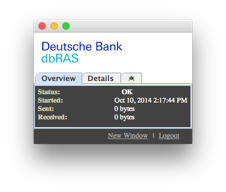 After a short delay, your Deutsche Bank desktop will appear. To view your session in full screen, choose View > Full Screen from the menu bar.